What Is It And How Can LCH Help? Can you imagine a world where concerns about how your appearance; whether your nose is too big or your eyes too close together, your thighs too bulky or your lips too thin… plague your every passing thought? Can you contemplate a life where an evil inner voice constantly taunts and torments you about some aspect of your appearance 24 hours a day, 7 days a week? Where you constantly compare yourself to others, whether out with friends, reading magazines or just watching people on TV? Where every reflective surface poses the risk of obsessive checking, self-doubt and worrying and is therefore best avoided or covered over? Where going out just causes you so much anxiety that you just want to hibernate under a rock somewhere? For those with Body Dysmorphic Disorder, this is reality. And, just as the sea erodes rocks on the shoreline, so the sufferer’s life is gradually but steadily eaten away until every task becomes a chore, every source of enjoyment drained, until all that is left is existence itself; a life void of joy and plagued by a relentless inner turmoil. But surely everyone has hang-ups about their appearance, don’t they? Well yes, at some stage or another in our lives most, if not all of us, will pick flaws with our appearance. And especially around the age of puberty, at a time of so much uncertainty and change, we will be particularly prone to comparing ourselves with others, which is only natural. But BDD goes much deeper than a passing phase or a few fleeting thoughts or even that ‘fussy’ moment in front of the mirror that all of us experience at one point or another. Characterised by obsessive thoughts about some aspect of one’s appearance, BDD is a highly distressing and debilitating disorder. Sufferers can often spend hours in front of the mirror, checking and re-checking, desperately trying to work on their appearance to make themselves ‘acceptable’ to society and their own ideals. 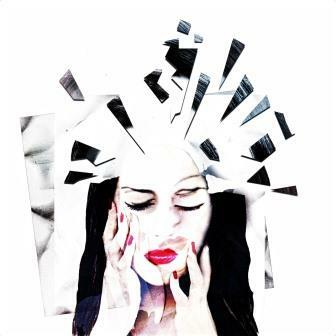 At the other end of the spectrum, however, where the thoughts and associated anxiety become too much to bear, a sufferer may avoid mirrors or reflective surfaces altogether. Just the prospect of catching a glimpse of themselves may cause unbearable angst. In an effort to avoid anxiety and the discomfort it brings, the sufferer will understandably begin to engage in avoidance behaviours. As we have seen, they may avoid reflective surfaces such as mirrors, television sets; anything that casts a reflection. More worryingly, however, the disorder may impact on a sufferer’s mobility. With their lack of security in their appearance, together with their low confidence and poor self-esteem, a sufferer will, unsurprisingly, feel uneasy in social situations. And, given their need to constantly compare themselves with others and of course the dreaded possibility of receiving comments about one’s appearance (however seemingly well-intended) this unease may grow into sheer terror, and the prospect of socialising or even leaving the house may become utterly unbearable. And so, going out just becomes too stressful and too much like hard work. As a result, a sufferer may, quite understandably, begin to gradually withdraw within themselves and in some cases avoid social interaction and going out altogether. This can then lead to further issues, such as problems at work, difficulties with personal relationships, issues with friends and family members and may even develop into agoraphobia. In this way, day to day life can become disrupted and family members may grow frustrated and feel at a loss to know what to do for the best. In their quest for the ‘perfect’ appearance, many BDD sufferers find themselves going under the knife (often repeatedly), seeing this as their only option. And, since constant vigilance, low confidence and poor self-esteem go hand in hand with the disorder, it is perhaps not surprising that many BDD sufferers go on to fall victim to anxiety and / or depression. Sadly, as a last resort, some may even consider suicide. So what causes someone to suffer from Body Dysmorphia? Whilst the exact cause of BDD remains unknown, there are several theories surrounding the disorder and again, the argument would seem to be one of nature versus nurture. One theory is that there is a problem with the size or functioning of particular areas of the brain responsible for processing information about bodily appearance. Since BDD often occurs in people with other mental health conditions such as depression and anxiety, this would further seem to support the argument that the disorder is biological in origin. On the other hand, protagonists for the nurture theory would argue that it seems to be triggered by traumatic events in early childhood, such as bullying, bereavement or parental separation. Alternatively, it could be triggered by low self-esteem caused possibly by parents or friends being critical of the person’s appearance. Certainly peer pressure and the media can also be blamed for the development and onset of BDD, constantly bombarding us with their ideals of what represents ‘true beauty’ and images of the ‘perfect’ body. Unlike standard hypnotherapy which actually works against the subconscious by looking to manage or suppress symptoms, LCH is designed to work with the subconscious to locate the root cause of the issue or condition and update the underlying information. This process is rather like correcting a faulty line of code in a computer programme. All this can be done through specific questioning of the subconscious, carefully working through its logic as to how it initially came to find a need for and then develop the symptom and crucially, why it now needs to continue maintaining it. Although you most likely won’t be consciously aware, the subconscious will have a good and valid reason for causing this reaction within you and it is this information we need to get to. Having fully understood this reason, we can then work through any faulty underlying information and beliefs, and work with the subconscious through suggestion and using its own logic, to explain how it might now be in the best interests of the sufferer to now update the programme, as it were. With the programme updated and the need or purpose for the symptom no longer in existence, the issue can be disposed of, effortlessly and naturally, leaving the sufferer free to live the life he wishes for.